All of our BirdWatching Tours in The Rainforest of Soberania National Park are led by experienced, bilingual, birding/nature guides who carry Leica binoculars and a Leica scope. Our groups are a maximum of 8 birders and one guide. 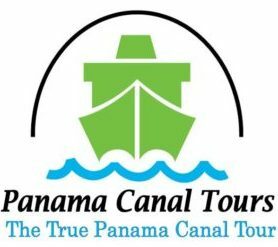 Our Panama day tours include one delicious meal, entrance fee to Soberanía National Park, and use of the Canopy Tower’s Observation Deck where our guides will help you identify wildlife. We have two daily departures, one in the morning and another at noon. Rate: $270 USD per person. 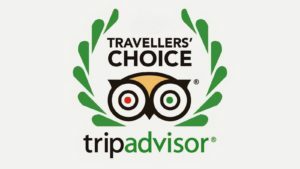 Includes: round-trip transportation from Panama City, entrance to the Soberania national park, expert guide, access to the Canopy Tower, delicious lunch, walk in the rainforest. Dawn is the most active period of the day for most wildlife of the forest. You definitely want to be up early on the Observation Deck, 50 feet above the forest floor, to experience the peaceful sunrise over the Pacific, to hear the thundering bellows of the Mantled Howlers proclaiming their territory and to be amazed at the incredible diversity of birds as they begin their never-ending search for food! After a hearty deluxe breakfast, join one of our guides for a 3-4-hour guided walk along Semaphore Hill Road, where you will experience even more of the magnificent wildlife of the tropical rainforest!. To Bring: a water bottle, closed hiking shoes, sun protection (hat and sunscreen), binoculars and camera. Mid-day is the best time to see birds of prey (raptors) as they ride thermals, soaring effortlessly high in the sky. In the Northern Hemisphere’s fall and spring seasons, the Observation Deck offers an extraordinary vantage point to witness hundreds of thousands of hawks and vultures flying en masse on their annual migration. From the Observation Deck you may see Blue Cotingas, Keel-billed Toucans, Green Shrike-Vireos, Mantled Howlers, Geoffroy’s Tamarins, Hoffmann’s Two-toed Sloths or Brown-throated Three-toed Sloths and Green Iguanas basking on a Cecropia branch! After a delicious lunch, join one of our guides for a 2-3-hour guided walk, to one of the fantastic nearby birding destinations. We often spot manakins, antbirds, tinamous, sloths, coatis, agoutis and an amazing abundance of butterflies and other insects on these bird watching tours. Please note the afternoon guided tour begins at 3:00 pm. Prior to these wildlife tours, you are welcome to enjoy the observation deck and hummingbird feeders at your leisure.